◎ Xi probably wants senior CCP cadres to read the report and get on board with his plans to centralize power in his person. The Chinese Communist Party (CCP) recently completed a 32,500 character report that identifies five critical issues with the Chinese regime and its officials which could lead to regime collapse, according to the October issue of a Hong Kong magazine. 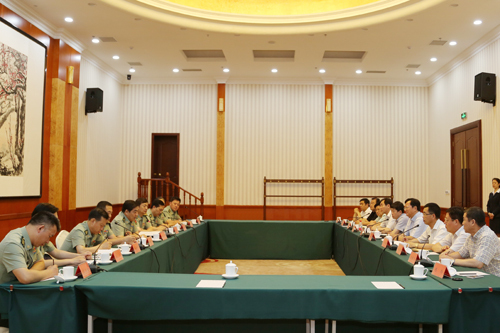 The magazine adds that the report was disseminated to provincial level officials and military personnel at a similar level, and has been designated as an internal study document for Chinese officials attending the upcoming 7th Plenum and the 19th Party Congress. Our take: Xi Jinping probably wants senior CCP cadres to read the report and get on board with his plans to centralize power in his person. Historically, CCP leaders were able to establish absolute authority by resolving regime-ending crises. But the current CCP practices collective leadership, a system which is ill-suited to handling serious crises since critical decisions can only be taken with the consensus of the Politburo Standing Committee. The big picture: The 19th Congress on Oct. 18 will be a watershed moment in the factional struggle between Xi and the Jiang Zemin faction. Xi is looking to consolidate his authority over the CCP in order to implement political reform, while the Jiang faction is seeking to stop Xi from fully centralizing power so that they can avert elimination. Contact us for more about the Xi-Jiang factional struggle.